On December 23rd, United Nations Security Council Resolution 2344 was passed 14-0 with one abstension — the United States. One of the key points of that resolution was the clear declaration that Israeli settlements are illegal. Not “illegitimate”, as per US policy in the past, but “illegal”. The settlements were described as an impediment to peace that must be removed. Are There Tens of Thousands of Israeli Settlements… Or 228? Most of the outlets are reporting on world events from Washington. The average reporter we talk to is 27 years old, and their only reporting experience consists of being around political campaigns. That’s a sea change. They literally know nothing…We created an echo chamber…They [the seemingly independent experts] were saying things that validated what we had given them to say. Now, in his interview to Judy Woodruff on the PBS Newshour, quoted above, Rhodes claimed that Israel had built literally thousands of settlements — and then he doubled down on that claim and asserted that actually tens of thousands of settlements had been built. CAMERA easily rebutted what Rhodes said by pointing out that according to Peace Now there were a total of 228 settlements altogether, 131 settlements and 97 outposts, a far cry from the tens of thousands of settlements that Rhodes claimed, unchallenged. With the Rhodes embellishment disposed of, we can turn to Secretary of State John Kerry. We’ve made countless public and private exhortations to the Israelis to stop the march of settlements. But have there really been a steady building of new settlements that would constitute a “march” as implied by Kerry? Again, all we have to do is just take a look at the Peace Now website. According to reports, Prime Minister Netanyahu stated this week that the Government will approve the establishment of three settlements (Bruchin, Sansana and Rechalim), in the upcoming cabinet meeting on Sunday, April 22. And no new settlements built since. 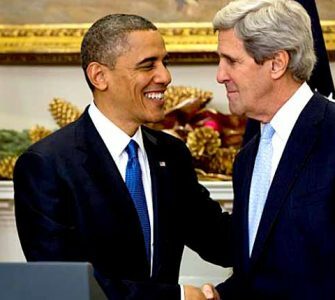 And for this Kerry is “exhorting” Israel about stopping the “march” of settlements. The White House is not alone in exaggerating a growth in settlement construction. 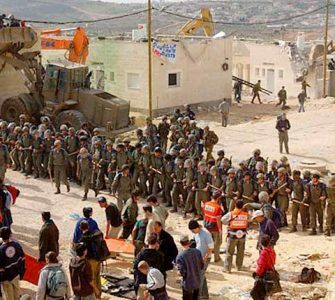 Over the years, the media has conflated building settlements with building houses within the settlements, adding to the confusion and aiding in the creation of this false narrative. “Why New Israeli Settlements Draw Ire”. “Why New Building in Israeli Settlements Draws Ire” — with a note at the end of the article noting the correction. Israel plans to approve new East Jerusalem settlements in defiance of U.N. So now it is clear that Israeli settlements are not the issue here. Having established how few settlements have been constructed, we have to assume that everyone is actually referring not to construction of settlements, but rather to construction inside the settlements, that is, the construction of houses. There has been no aggressive increase in Israeli settlements. 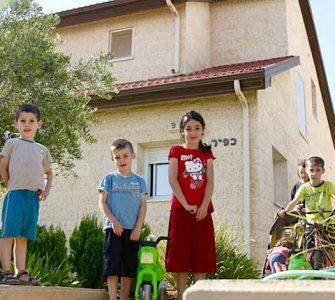 There has been no aggressive increase in Israeli houses within the settlements. Maybe the issue is the increase in the settlement population? The surge referred to in the article is not based on past years. Instead, the surge is based on a comparison with the increased population of Israel as a whole, noting that the increase in the settlement population is more than double that in the country as a whole — and that population growth itself has actually slowed, not surged. So let’s go with that comparison between the settlement and national populations, keeping in mind that the Haaretz article quoted earlier notes that 74% of the increase in the settler population from 2009 to 2014 was due to the birthrate and not an influx. In an article in the Jewish Press in 2014, blogger Joe Settler followed the AP’s lead and compared the growth of populations in the settlements and compared it to Israel as a whole. Since 2010, under Netanyahu, the settlements’ share of housing completions has declined. From 2010 to 2013, while the settlement population grew by about 50,000 people, the total number of new homes built was only 6,062 – falling short of the population’s needs. From 2010 to 2013, settlers averaged 4.19% of the national population, yet only represented 3.23% of national house starts and 4.1% of national housing completions. In 2013, the settlers were 4.28% of the national population, but only 3.37% of national construction was completed in Judea and Samaria. Bottom line, under Netanyahu, settlements did not receive their fair share of new homes in comparison to the rest of the population. 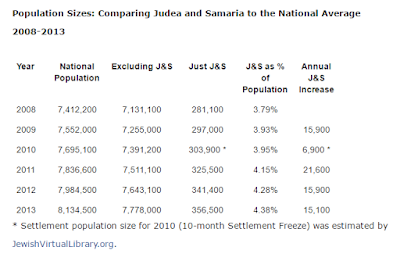 Construction Completions: Comparing Judea and Samaria to the National Average 2010 – 2013. 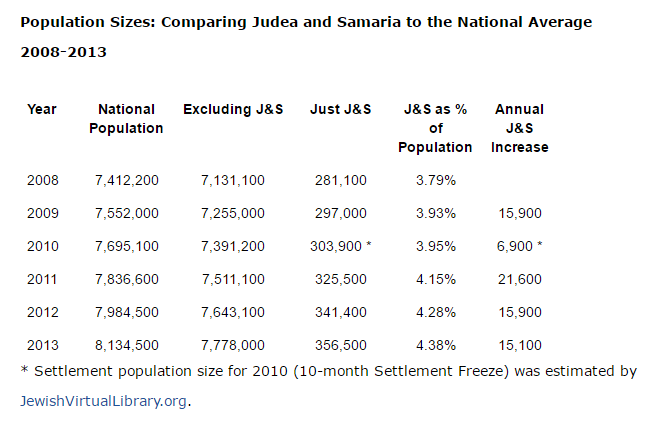 Population Sizes: Comparing Judea and Samaria to the National Average 2008-2013. The increase in the number of settlers is a natural increase, and the number of houses that are being built do not even meet the demand. That brings us to another misconception. With all the talk by both the White House on the one hand and the media on the other, just how much land do the settlements take up in the “West Bank / Judea and Samaria? And in 2011, chief Palestinian negotiator Saeb Erekat, claimed settlements took up 1.1% of the West Bank. So again, why the fuss? 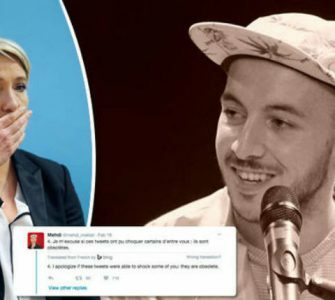 The “one percent argument” is a classic example of how supporters of the status-quo use a fraction of the truth to misrepresent the truth on the ground in the West Bank. Yes, the actual built-up area of West Bank settlements takes up only a little more than 1% of the West Bank. But the settlements’ built-up area is just the tip of the settlements iceberg. The impact of the settlements goes far beyond this 1%. …In total, more than 40% of the West Bank is under the direct control of settlers or settlements and off-limits to Palestinians, regardless of the fact that only a small portion of this land has been built on by settlers. Let’s put aside that in 2010, Dani Dayan, then chairman of the settlers council, countered that settlements control only 9.2 percent of the West Bank. The point Peace Now is making is that settlements and the control they have over land is an impediment to peace. Somehow, the 40% Israel controls didn’t stop Barak and Olmert from offering nearly the entire West Bank for a Palestinian state. If they could offer it, so could the current Israeli government. So the 40% figure is a red herring, meant to obscure the fact that the intransigent party is the Palestinian side. Settlements did not stand in the way of Netanyahu’s predecessors from offering major concessions in the interests of peace — offers that fell through not because of the settlments but because the Palestinian Arabs, including Abbas, have turned down the offers. So Why All The Fuss Over the Settlements? The settlements have not stood in the way of peace deals being offered in the past. The reason Israel has not offered a peace deal recently is because Abbas refuses to negotiate. In short, if settlement construction were really the death blow to the peace process that Obama and his European counterparts like to claim, Netanyahu ought to be their favorite Israeli prime minister ever instead of the most hated, because never has settlement construction been as low as it has under him. The obvious conclusion is that all the talk about settlement construction is just a smokescreen, and what really makes Western leaders loathe Netanyahu is something else entirely: the fact that unlike Rabin, Barak, Sharon and Olmert, he has so far refused to offer the kind of sweeping territorial concessions that, every time they were tried, have resulted in massive waves of anti-Israel terror. At issue is more than just the sloppy confusion of settlements, houses and settler population. The hyperbole used by both the White House and the media pushes an agenda that clouds what is at stake and puts responsibility for peace on one party alone – Israel.